Our Milky Way is only one of several billion very different galaxies in the Universe. Here some of the most interesting galaxies are listed, ordered by their distance from us. 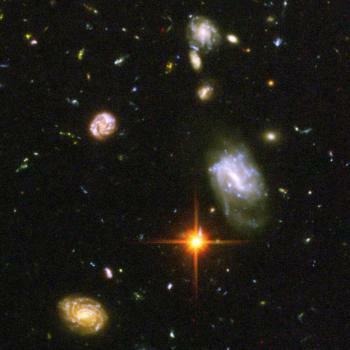 Part of the Hubble Deep Field, HDF.